PAA is served by a Board of Directors who serve a two-year term and are elected by a vote of the membership at the November meeting for the following calendar year. In addition to duties assigned by the bylaws, Board members also serve other duties within the club. My claim to fame is my birthplace, Punxsutawney, PA…Home of the Groundhog. As a child we moved a few times before settling in the Midwest. As an adult my wife and I settled in Chicago and worked in the theatre community for several years before transplanting to Los Angeles where I began producing commercials. I’m a resident of South Pasadena and over the years I’ve participated in a few sports, several 5/10k races and a marathon before discovering cycling. I’m loving it. I suppose I’m one of the new wave of MAMILs (middle aged men in lycra). I’ve been cycling for about 4 years now. I enjoy road biking and manage to get in at least 3 rides per week. PAA has given me the support to push my abilities and raise my consciousness about cycling as well as develop a network of fellow cyclist who also do not fear lycra. Peter developed his love for road cycling after the 2012 Pasadena Triathlon, in which he borrowed a friend’s bike for the cycling segment. He promptly gave up spin classes (except for inclement weather days), purchased his 1st road bike, and joined PAA a few months later. “For me, PAA possesses the wonderful combination of avid cyclists, of all abilities and interests, coupled with the desire to share the sport of cycling with the community.” Peter endeavors to pass his passion for cycling to his two daughters. Johanna started her humble beginnings of daily bike rides while toting a burlap bag to deliver the local newspaper with her brother and family dog. This evolved to riding around the UC Davis campus as a student and then becoming a triathlete in Hawaii where she was born and raised. After moving to California, she realized it was much too cold to swim in races on this side of the Pacific Ocean and decided to stick to cycling. Johanna served as PAA secretary for four years before becoming a team captain the Endurance Team. She is excited about returning to the board and continuing the fun as a team captain. Born in Pennsylvania, moved to California when I was about 3 years old, spent early years riding BMX, then graduated to motorcycles and raced motocross for about 7 years traveling throughout California. Switched to road bikes in the early 1980’s and have enjoyed riding ever since. Employed as a CNC Machinist and enjoy my job immensely. Racing his friends round the block when he was a kid ignited a lifelong love of all things cycling for Nick. After joining his local cycling club, he raced on the road for several seasons before his racing career was cut short by health issues. Nick gave up competitive cycling, but continued to ride and when the newly invented sport of mountain biking came along (yes he really is that old), he quickly transferred over to riding on the dirt, travelling far and wide in search of the perfect trail. Since becoming a family man, he has returned to riding and racing road bikes, and following a move to the Pasadena area, joined PAA in 2011. 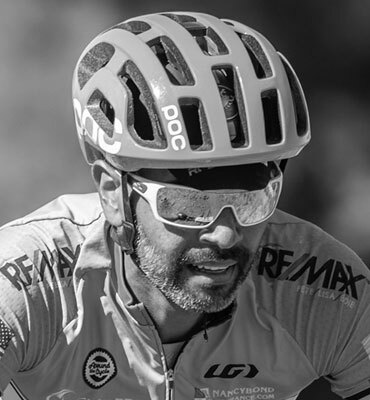 Nick’s passion for cycling is still strong and as a Certified USA Cycling Coach, he endeavors to help new and aspiring racers within the club. I got back into cycling to get some exercise as I really do hate running. I started with a mountain bike and eventually decided that one bike wasn't enough and learned to love riding road as much as I do mountain biking. As a bit of a computer nerd I decided to take on the membership duties and continue in that role today. Brandon Heflin is the founder & owner of CENTRIC BIKES, LLC (CENTRIC), a bike brand and coaching services company. He’s been coaching endurance athletes since 2002, has been USA Triathlon & USA Cycling certified for coaching. Brandon is also a competitive Cyclist, Triathlete and endurance sports enthusiast. Family man turned racer. Captain of the 4/5 road team. You can find him at your local criterium or weekend hammer fest. I began cycling in 2011 to what became and on-again, off-again relationship with the saddle. Shortly after my start, I joined PAA and began riding as much as I could. But, as everyone experiences, sometimes life gets in the way and I neglected my bike for a few years, only riding intermittently. Between then and now I married my beautiful college sweetheart, purchased and renovated our first home together, welcomed our two children into the world, transitioned my career across various roles with four different companies to help accelerate my learning and started my own consulting business to help local companies thrive with the methods I’ve learned along my journey. I felt it was time to get back on the saddle and get involved with the community any way I could. Even though life gets in the way, I want to make sure I stay engaged with PAA and my own fitness goals. Currently I am focused on building my endurance and hitting the hills as much as possible.